The study of clouds (where they occur, their characteristics, etc) plays a key role in the understanding of climate change. 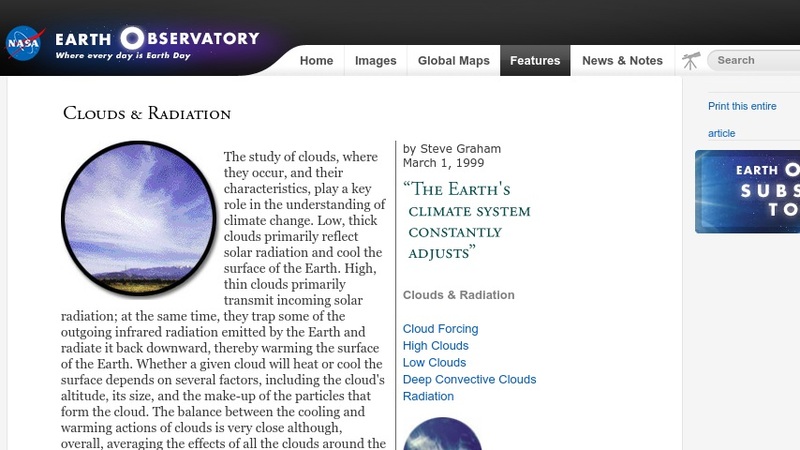 This site discusses how the relative thickness and altitude of various cloud types result in their either reflecting solar radiation or transmitting and trapping it, thereby warming Earth's surface. It features text, a scientific illustration, and links to other relevant topics and datasets.